I first stumbled across braided fishing line in Australia about 10 years ago. So off we went to the tackle superstore to take a look at the many types of fishing line available. 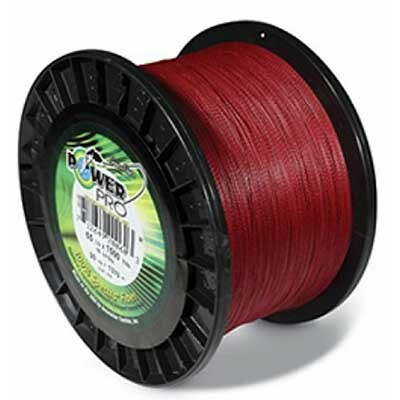 At the time even the basic braided line was about 60 dollars a spool and the price sort of shocked me a bit as I was used to ‘normal’ fishing line prices. You see with fishing you can have good days and bad days. Fish not biting is one thing but when you do hook up the last thing you want is for you gear to let you down. You spend a small fortune on a rod and reel, all the money in the world on lures and jigs, so why not invest a bit in your line and avoid the dreaded snap off halfway through reeling in the fish of a lifetime. Yes the are a plenty of options when it comes to fishing line and each serves a purpose but today I want to concentrate on braided fishing line and give you our view on the best braided fishing line on the market and why it should be your next purchase before you cast another lure into the water. 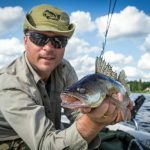 Best Braided Fishing Line - Our Top 3. As mentioned earlier there are any number of options when it comes to braided line so we did our homework, plenty of research, testing and some expert reviews to bring you what we feel are the top three braided fishing line options available today in our braided fishing line comparison line up. 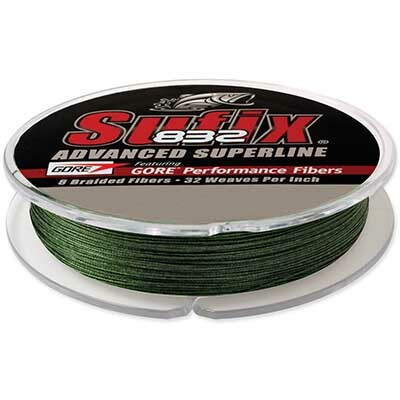 One of the most advanced braided lines available Suffix 832 is a very high strength, small diameter fishing line. Backed by years of development and expertise in military applications this line is bulletproof. R8 precision braiding and fibre technology give this line its strength, consistency and roundness. The Dyneema fibres provide strength and allow for the small diameter of the line - perfect for loading up a spool for longer casting and deeper fishing. The GORE fibre provides abrasion resistance, vibration and noise reduction and give you those much sought after longer casts. The line is made up of a total of eight fires - The central GORE strand surrounded by 7 Dyneema strands giving this line un-matched strength in the market. The first thing you will notice as a fisherman about this line is the casting distance you can achieve. The round line literally flies off the spool and out into the water. You will also notice the lack of stretch in the line and super sensitivity when a fish starts to take interest in your bait or lure. Even the smallest of bites are now noticeable and with the strength of this line strike your fish and away you go. No more unsavoury snap offs when reeling in that trophy fish. The line is currently available in three colors; Ghost white, High-vis Neon Lime and Low-vis green and can be purchased in 150 yard and 300 yard lengths. 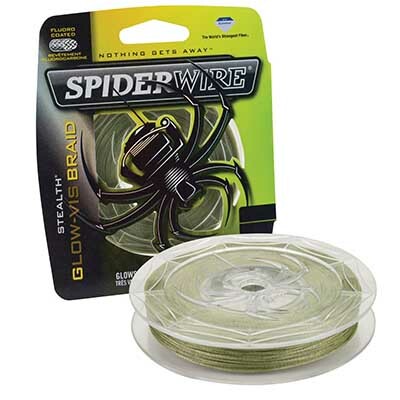 You can also get a 600 yard spool in the low-vis green if you are hunting deep sea. Given how thin this line is compared to standard mono line - 4 times stronger than a monofilament line of the same thickness you can really load up your reel. As with all braided lines we recommend adding some mono line backing to the reel first to avoid any slipping but thats up to you. I have seen other fishermen wrapping the bare reel spool with a bit of tape before they load up the braided line for the very same reason. Is it worth the money - definitely. 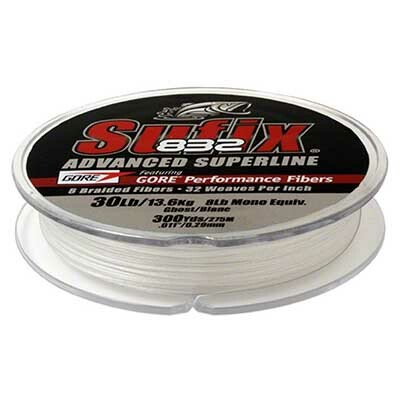 From a price point this braided line is very reasonable and does exactly what you would expect from a quality company like Suffix. Super strong, super sensitive and great value for money. 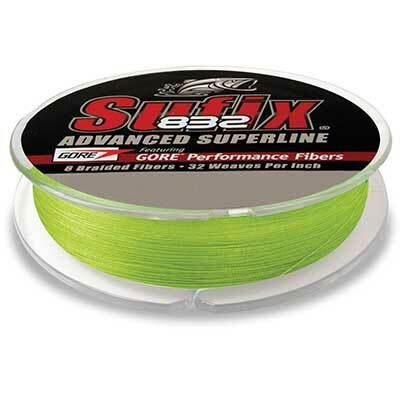 Here is a quick overview video showing the GORE performance fibre in action and what it means to the shelf life of your braided line. Made in the USA Power Pro braided line is unbelievably strong because of it's braided spectra fibre makeup. If you are into lure fishing and like using very thin but super strong line then this is the best choice for you. The line is currently available in three colors; Moss Green, High-vis Yellow, Vermilion Red and can be purchased in 150 yard up to 1500 yard lengths. 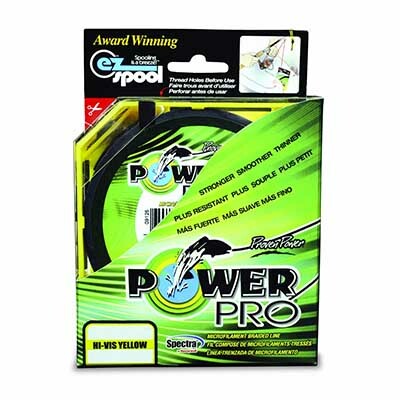 ​Fishing with PowerPro line is just like using standard mono line in terms of ease of use but with a raft of advantages. One great point you will notice is the line doesn't bury itself in the spool after a good workout or a hard strike. ​This line is also super sensitive so if you are chasing fish with 'delicate' bite patterns then you are good to go. The thin round and smooth profile of the line lets you really load up your spool and you will be amazed at your casting distance when you first use it. The line is coated with a Fluoropolymer which helps it glide through rod guides easily and gives you a quiet and very fast cast action. Because this line is so much thinner that other braids and traditional line you can get a lot more on your reel. There are multiple line size options available from 6lb lightweight gear right up to 100lb line if you are chasing monsters in the deep. Rig it up with a mono leader and a decent lure and you will never look back. 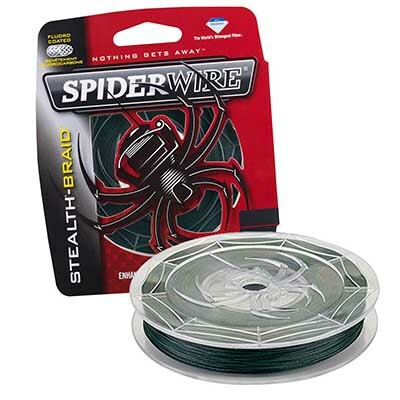 Because there is pretty much zero stretch on the spiderwire braided fishing line it is perfect for lightweight fishing or detecting very sensitive bites and to be fair it's probably the best saltwater fishing line I've ever used. ​A lot of folks will put a bit of tape around the arbour of their reel to stop the line slipping. Braid is very thin and sometimes quite slick so make sure to either use a bit of tape or perhaps use some mono backing on the spool first. This helps the line sit nice and even throughout the spooling process. This is not really a problem for newer type reels as most come with a rubber backing on the arbour so no slippage issues there. These two knot are all you need to get you line setup for spooling. Using the mono backing is probably the best way to add braided line to your reel - unless of course you have a shiny new one that comes with a rubber arbour. When tying your mono leader to your braided fishing line you are going to need to use the Albright or improved Albright knot. Rock solid knot that is easy to tie with a bit of practice. If you want to tie yourself an awesome knot then you should go for the FG knot. This braided fishing line knot takes a bit of effort to get right but once you get the hand of it you will never use anything else. Rock solid and clean on the line it's one of our favorite ways to join braided line to monofilament line., especially on our leader setup. One quick tip is you should have the right tools for cutting your braided line. Braid is a lot different to standard fishing line so when you need to cut it make sure your scissors or line cutter is up to the task. One issue we often see with braided line is when the water is very clear you might spook the fish. As design and innovations have moved forward this is not really a problem any more. Because the line is so much thinner than mono and it comes in such a wide variety of colors you are covered. Couple this with the fact that you are going to be fishing a mono leader anyways you have nothing to worry about. 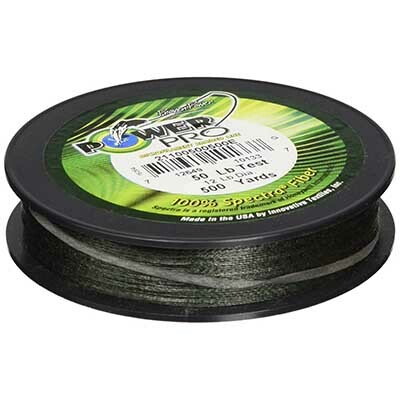 Compared to fluorocarbon and monofilament line Braid has a much small line diameter so you fit more on your spool. For example a 20lb braided line is the same thickness as a 6lb mono line but with a lot more strength and there is no doubt about it, using braided fishing line on your reel gear is unmatched in terms of performance in the field. I mentioned casting distance earlier in this post but you will understand why when you take your first cast with braid on the spool. The smooth slick rounded lines are engineered to cast further. ​Strength of the line is another factor to consider when fishing braided fishing line. 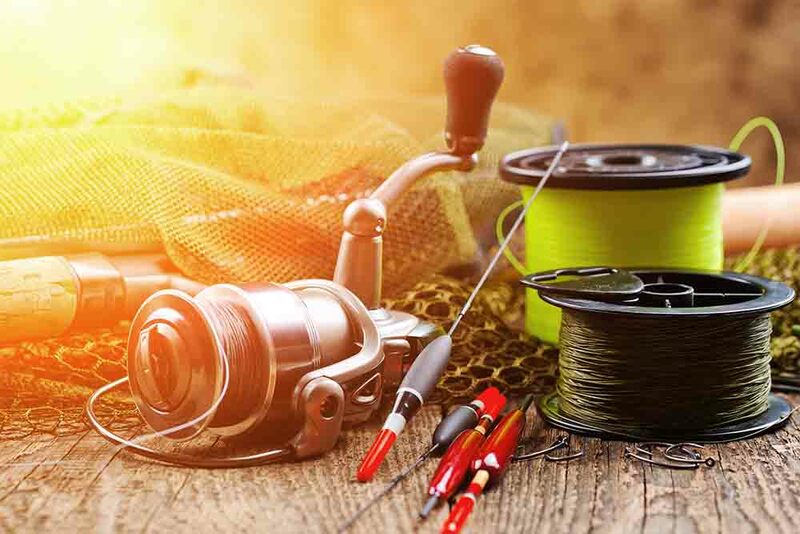 If you are used to fishing rivers and lakes full of debris and heavy cover or seas full of heavy weed and rocks then you will probably save yourself the cost of the new line on your first few fishing trips. The only thing you may have to do to your line is trim of the end every so often for general wear and tear. 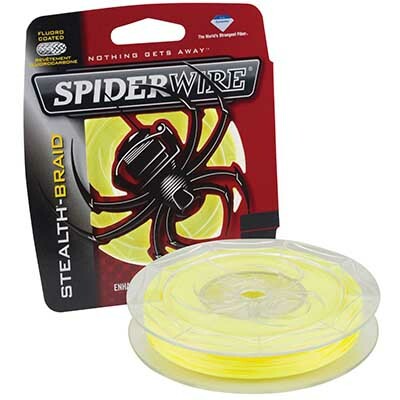 That's it for this review on the best braided fishing line. We hope you found it useful and can now make an informed decision on which brand is the best braided line for your next fishing adventure. If you are unsure about what fishing line to use next time you are stocking up then why not try out braided line. You will be glad you did. Swear by the 832 line. Less susceptible to fraying compared to the others and is unbelievably strong. Haven’t lost a fish yet with it. 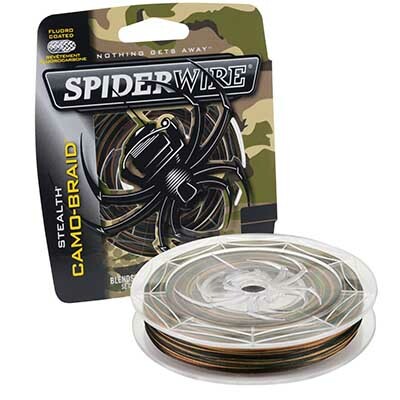 +1 for Spiderwire. Best braided line I’ve ever used. Spot on with your choice of Suffix 832 braid. Use this every day and has never let me down. Thanks, John. Yes, 832 braid is excellent quality. A bit pricier that some of the budget braided lines but in our opinion it’s worth the extra few dollars.